Colagrossi v. Bank of Scotland, 2016 IL (App) 1st 142216 examines fraud in the inducement in an employment dispute involving parent and subsidiary companies and their respective successors. 2005 – Plaintiff receives offer letter from Company 1 for plaintiff to perform futures trading services. The offer letter contains a non-reliance clause that subsumes all oral representations concerning the offer letter’s subject matter. 2006 – Plaintiff enters into employment agreement with Company 2 – Company 1’s successor. This agreement also has a non-reliance clause. 2006-2007 – Plaintiff contends that while negotiating the offer letter specifics, Company 1’s officer fails to disclose to Plaintiff that Company 1 is about to be sold to Company 2 and had plaintiff known this, he wouldn’t have accepted Company 1’s offer. 2008 – Plaintiff files two lawsuits. He sues Company 1 for fraud in the inducement and then sues Company 2 under the same legal theories. Company 2 removes that case to Federal Court (based on diversity of citizenship). 2011 – Plaintiff files a third lawsuit; this time naming Company 3 – Company 1’s parent – and Company 4, the entity that purchased Company 3. 2013 – Summary judgment for Company 1 is entered in the 2008 fraud in inducement case based on non-reliance language of offer letter. Plaintiff appealed the dismissal of the 2011 lawsuit. Fraud normally is no defense to the enforceability of a written agreement where the party claiming fraud had ample opportunity to discover the fraud by reading the document. Here, the plaintiff admitted that he read the 2005 offer letter and 2006 employment contract and signed them after reviewing with his attorney. In addition, the two agreements each spelled out that plaintiff had not relied on any oral or written representations of the parties in signing the agreements. The next question for the Court was whether summary judgment for Company 1 in the 2008 case was res judicata to the 2011 case against Companies 3 and 4. Again, Company 3 was Company 1’s corporate parent and Company 4 purchased Company 3’s assets. In Illinois, res judicata applies where (1) there is an identity of parties or their privies, (2) identity of causes of action, and (3) final judgment on the merits. Since the two 2008 cases and the 2011 case all stemmed from the same underlying facts, involved the same employment contract and same corporate principals, summary judgment for Company 1 and 2 in the 2008 cases barred plaintiff from repackaging the same facts and claims against Companies 3 and 4 in the 2011 case. This case and others like it make clear that for a fraud in the inducement plaintiff to establish reliance in the breach of written contract setting, he should show he was deprived of a chance to read the contract. Otherwise, the rule against allowing fraud claims by one who fails to read a document will defeat the claim. Another important case holding is that the ‘same parties’ res judicata element applies where parent and subsidiary (or predecessor and successor) companies are sufficiently connected so they sufficiently represents the other’s legal interests in two separate lawsuits. Several recurring commercial litigation issues are examined in Saletech, LLC v. East Balt, Inc., 2014 IL App (1st) 132639, a case that chronicles a dispute over a written distribution agreement for the sale of bakery products. The plaintiff entered into the agreement with a Ukranian subsidiary of various U.S. companies. The plaintiff sued these U.S. defendants, claiming they were bound by the foreign subsidiary’s breach, that they were alter egos of the subsidiary, or at least ratified the subsidiaries’ conduct. The trial court granted the U.S. companies’ motion to dismiss for failure to state a cause of action on all counts and the plaintiff appealed. Rules/Reasons: Finding for the defendants, the court applied black-letter agency law, ratification and corporate liability rules. – ratification can be shown mainly by a principal retaining the benefits of the unauthorized act. Here, the Court found the plaintiff failed to establish that the foreign subsidiary (who signed the contract) was the agent for the solvent U.S. defendants. The plaintiff made only naked allegations of a principal-agent relationship between the domestic and foreign entities. Without allegations that the defendants knew of the subsidiaries’ distributor agreement or that they held out the foreign firm as having actual or apparent authority to bind the defendants, the plaintiff’s agency allegations were too conclusory to survive a motion to dismiss under Illinois fact-pleading rules. The plaintiff also failed to plead facts to show the defendants ratified any unauthorized conduct of the foreign company. For example, plaintiff didn’t allege that the defendants accepted benefits from the distributorship contract after plaintiff alerted defendants to the foreign firm’s misconduct. The plaintiff’s alter-ego allegations were also lacking. The plaintiff claimed that the signing foreign company was an alter-ego of the U.S. companies. 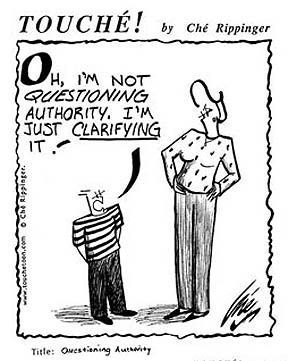 The alter ego doctrine affixes liability to a dominant person (or company) that uses a sham entity as a front or “conduit” in order to avoid contractual liability. An alter ego plaintiff must make a “substantial showing” that one corporation is a dummy or “front” for another. The court found that here, the plaintiff failed to plead sufficient facts to demonstrate a unity of interest between the foreign company and the U.S.-based defendants that would permit the court to impute liability to the U.S. defendants. Additionally, the plaintiff’s bare allegation that the defendants were “commingling funds” in order to defraud creditors lacked factual support and wasn’t enough to state a breach of contract claim predicated on an alter ego theory. ¶¶ 17-18, 22, 29. (3) Piercing the corporate veil based on alter ego allegations is difficult to prove; especially in breach of contract setting.